The 2019 Canh Dieu (Kite Awards) is slated to take place in Ho Chi Minh next week, with free screenings of selected works now open to interested audience in both Hanoi and the southern metropolis. The Kite Awards, which is organized annually by the Vietnam Cinema Association to honor individuals and groups who make significant contributions to domestic cinema, this year saw 144 movies registered for competition from more than 50 film production establishments across the country. These include 14 feature films, 13 TV series, 61 documentaries and 26 short films. Remake versions of foreign feature and television films are also among the competing works and receive the most attention from the public. 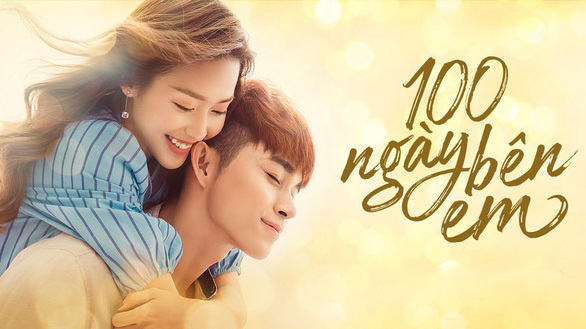 Free tickets to watch all the 14 feature movies registered for the Golden Kite are available from today, April 6, for pick up at 465 Hoang Hoa Tham Street, Ba Dinh District in Hanoi, while those in Ho Chi Minh City should come to 135 Hai Ba Trung in District 1 and 190 Quang Trung in Go Vap District. The awards ceremony will be held at the Military Theater in Tan Binh District on April 12. There will be a “Golden Kite Award”, “Silver Kite Award” and certificates of merit for the best works in each category. “The awards honor cinematic works which are artistically creative, imbued with national identity, rich in human values and have a positive influence on society,” the Vietnam News Agency quoted Dang Xuan Hai, chairman of the Vietnam Cinema Association, as saying at an event to introduce the awards in Ho Chi Minh City on Thursday. Vietnam’s top cinema award is the Bong Sen Vang (Golden Lotus), which is the highest prize awarded to competing movies at the Vietnam Film Festival, a biennial event held by the Vietnamese Ministry of Culture, Sports and Tourism. As an industry-level awards, the Golden Kite is not always warmly welcome by members of the public and moviegoers. Speaking to Tuoi Tre (Youth) newspaper, Le Hong Chuong, a representative from the organization board, acknowledged the event’s lukewarm reception from the audience. “But we still try to keep holding the event every year as we believe the awards will stimulate creativity and enthusiasm for filmmakers and insiders working in the field, as well as to honor positive contributions to the cinema industry,” he underlined.